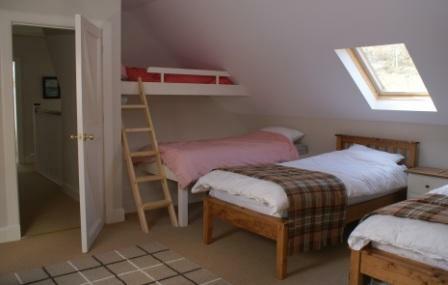 Lochside provides flexible accommodation for up to 10 people. There is parking for 2 cars by the road, the property is set down from the road with steps and a sloping path. There is a new drive down to the house providing limited vehicle access. 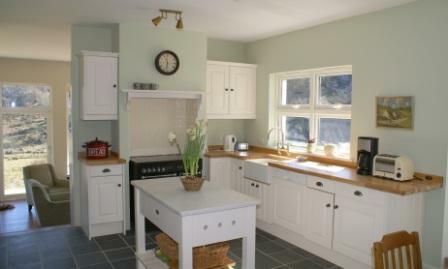 There is a newly fitted country style kitchen which has an eat-in area and central island. It is well equipped with double oven rangemaster cooker, microwave, bread maker, fridge and dishwasher. 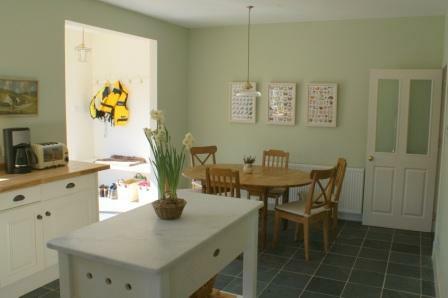 A separate utility room lies to the side, with washing machine, tumble drier, second sink and fridge-freezer. 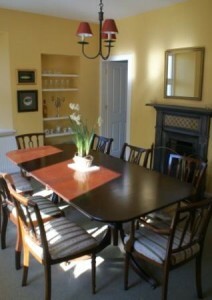 The dining room is traditionally furnished for up to 10 guests and has an open fire. 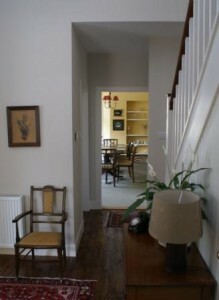 This leads through to a lovely study with a small library of books. 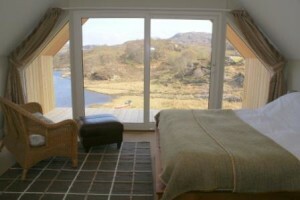 A fabulous ‘Loch Room’ has an open fire and uninterrupted views across the loch to hills beyond. 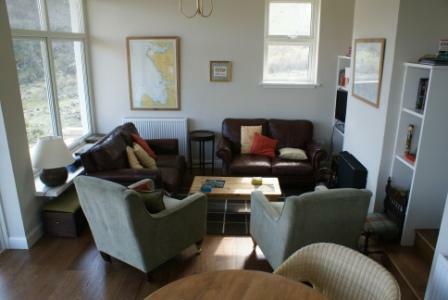 Comfortable sofas and armchairs, board games, jigsaws and a well-loved piano. Leads out to a decked area. 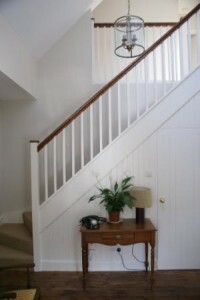 Downstairs there are two bedrooms (one twin, one double) newly fitted bathroom and a separate cloakroom. 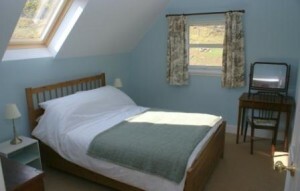 Upstairs the master bedroom has a beautiful gable end window, leading on to a small covered balcony. There is an ensuite shower room and a dressing room area. There are two further bedrooms – a double bedroom and the ‘bunkroom’ with twin beds and extra cabin beds available suitable for children. There is a shared bathroom with a newly fitted bath and separate shower. 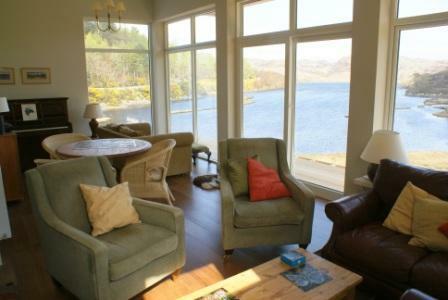 The property has central heating throughout and open fires in the Loch Room and Dining Room. There is adequate porch space and drying facilities within the house for plenty of outdoor clothing. There is a television (Sky) and dvd player (a small collection of dvds), a mini hi-fi system and wi-fi broadband.